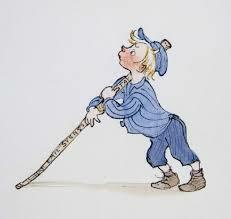 The boy you see here is Astrid Lindgren's Emil in Lönneberga as Björn Berg saw him. 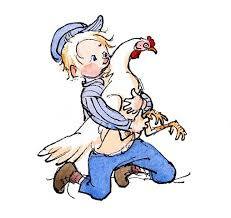 She then sent him the manuscript. Björn Berg (1923-2008) then went to Smaland to thoroughly research the world Emil lives in. 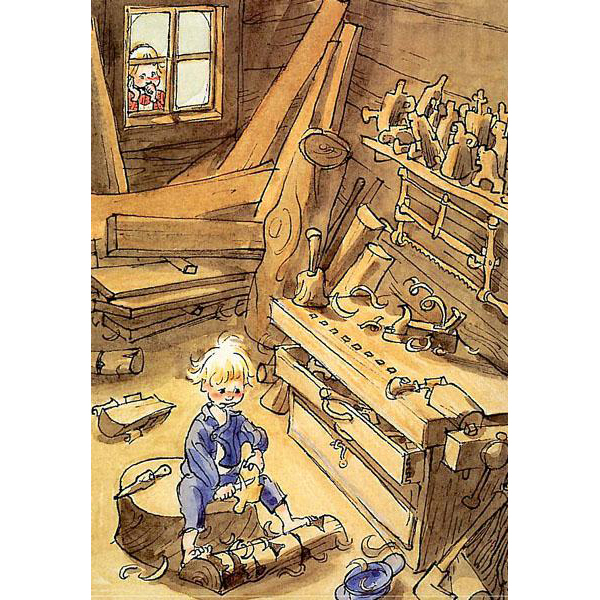 He illustrated all the books about Emil, and made him into the moving little boy you just know can't help himself always getting into trouble.